Dr. Martin Makary treats patients with chronic pancreatitis at Johns Hopkins Hospital. 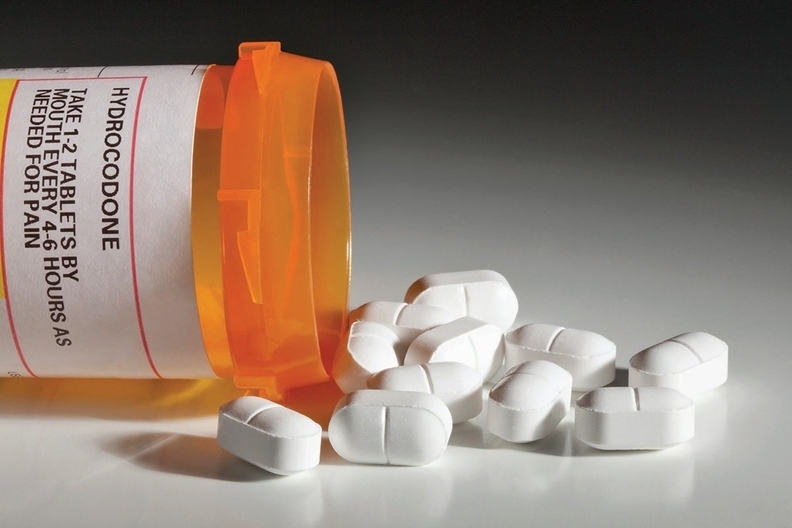 While surgery can alleviate the debilitating pain, its ultimate success for patients with opioid-use disorder hinges on whether they go to an outpatient pain-management treatment center, the Johns Hopkins professor of health policy said. But getting patients into an evidence-based treatment center is a struggle, and not just in Baltimore. “We have underinvested in effective outpatient pain-management treatment centers as a society, which is what we need the most,” Makary said, explaining that it is both a capacity problem and a physician recruitment problem, not to mention that it has lower reimbursement than other treatments. “In cities like Baltimore where there are fentanyl, heroin and opioid problems, there's just not enough. Add to that the nuance that some treatment centers are not using evidence-based practices as they should, which is an endemic broader issue in healthcare,” he said. The situation illustrates why treatment varies across the country amid the historic opioid crisis. Fair Health, a national independent not-for-profit that collects and analyzes claims data, pored through 26 billion privately billed healthcare claims and found tremendous variation in opioid treatment cost and utilization by state and region. Only two outpatient rehabilitative services for opiate addiction were in the top-10 lists by utilization or cost only in the South and West: intensive outpatient treatment and partial hospitalization, according to a Fair Health white paper. Methadone was one of the 10 most common treatment paths by utilization in every region, although it was only among the top 10 by cost in one region, the Northeast. Methadone has been used in medication-assisted therapy for opiate addiction since the 1970s, although there are still some pre-authorization barriers with MAT, experts said. “MAT and each of its variations need to be used more,” said Dr. Joseph Garbely, vice president of medical services and medical director at Caron Treatment Centers. Methadone is only covered by 36 of the state Medicaid programs although it is one of the most effective evidence-based treatments for opioid-use disorder, said Austin Jones, a database research associate at amfAR, the Foundation for AIDS Research, who has studied MAT treatment patterns. Group psychotherapy was one of the 10 most commonly used procedures for opiate addiction in every region except the South. But there is a shortage of behavioral health clinicians, which may explain why group therapy is more common than one-on-one sessions. Drug tests were among the most-used and the highest percentage of total costs by state. The largely unregulated urine screens and drug tests can be a lucrative business for doctors who operate their own labs, industry observers said. The top 10 procedures by cost in the West included six therapeutic procedures, more than in any other region. Emergency department visits weren't relatively common, although they broke the top 10 lists by cost in the Northeast and Midwest. Sub-acute detoxification isn't widely used either. Only New York had group counseling as one of its five most common procedures by utilization and cost. Only five states—Delaware, Nebraska, North Dakota, South Dakota and Wisconsin—included 45-minute psychotherapy session as one of their five most common procedures by utilization. Only California had intensive outpatient treatment in its top-five list by utilization. “The data could be helpful in trying to bring out actionable responses as we think about ways to expand provider infrastructure or physician training,” Fair Health President Robin Gelburd said. Ideally, it has a ripple effect allowing states to learn from each other and adopt best practices, she added. The data raise several questions regarding the utilization and cost patterns, which will be answered in follow-up studies, Gelburd said. Was the variation based on what commercial insurers covered, providers' infrastructure and capacity, Medicaid programs, and/or financial incentives that influenced treatments and referral patterns? Makary and the Center for Opioid Research and Education are releasing guidelines on best evidence-based practices for opioid treatment on Aug. 14. Opioid prescribing guidelines should be tailored to the procedure, not a cookie-cutter application like many are now, he said. The center hopes that the guidelines will adjust default prescription recommendations, which have been “dangerously high for too long,” Makary said. The data demonstrate how different regions are dealing with the opioid crisis. It contextualizes the multidistrict lawsuit representing hundreds of towns, tribes, cities, counties and states that look to recoup the financial burden associated with caring for people addicted to opioids. The plaintiffs claim the drug manufacturers and distributors are responsible for the epidemic. But improving opioid treatment will require much more than just throwing money at the problem, Makary said. “We need to recognize the downstream impacts of undertreating and improperly treating opioid abuse and restore the reimbursement of outpatient medication treatment and MAT,” he said.